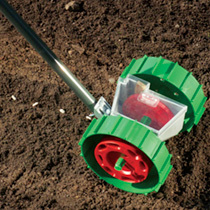 The Super Seeder is an innovative tool built for effortless sowing of all your vegetables. It delivers consistent, evenly planted straight rows and adjusts to 3 different sowing distances to provide plants the space they need to thrive. With Super Seeder, things couldn't be easier! Simply fill the hopper, adjust the seeder for the necessary sowing depth and distance, then roll it along your prepared vegetable garden. Enlist a guideline for prefectly planted straight rows. 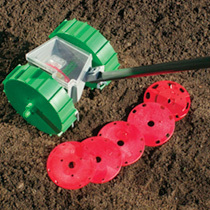 Its furrow depth adjusts to suit all seed types. 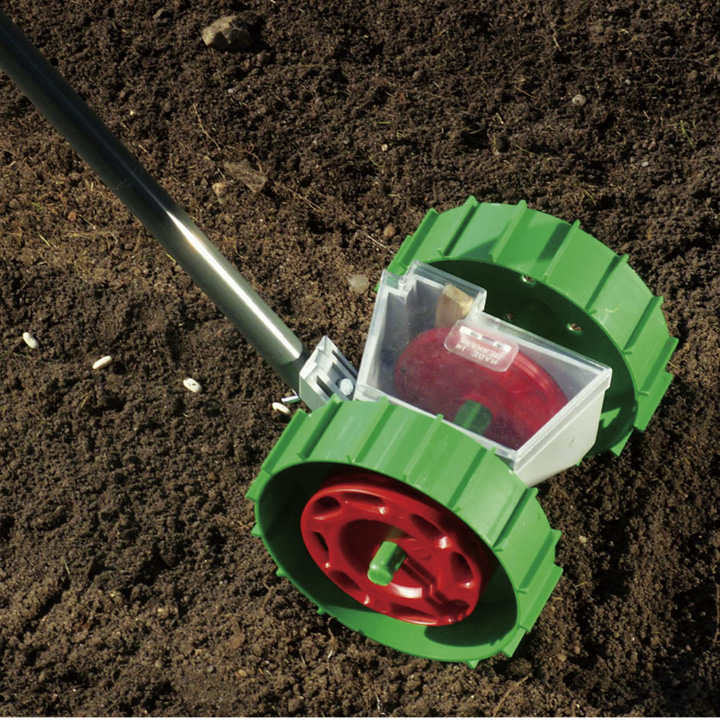 The unit comes with 6 interchangeable discs to sow seeds as small as carrots to larger seeds like beans. Assembled unit measures 38" long with a 7" wide head. A must for all keen veg growers!